When Olympic skiing Medalist Jimmie Heuga was diagnosed with Multiple Sclerosis (MS) in 1970, his doctors told him not to exercise, believing exercise would be detrimental to his health. After six years, frustrated with his sedentary lifestyle, Heuga borrowed a friend's bike and started exercising. Ahead of his time, Heuga's evidence now shows that exercise improves health for MS survivors through cardiovascular fitness, range of motion, flexibility, increased energy, improved balance, managed spasticity and decreased muscle atrophy. Indeed, vast improvements in medicine and technology have led to a large and rapidly growing population of chronically ill individuals who can achieve high levels of activity. Commensurate with improvements in medicine and technology, reviewing the evidence on the importance of exercise is like drinking from a fire hose. Active outdoor recreation can benefit those with chronic disease and disability including cancer, depression, cardiovascular disease, stroke, diabetes, osteoporosis, osteoarthritis, multiple sclerosis, autism, traumatic brain injury, and spinal cord injury to name a few. Unfortunately, less than 5% of individuals with a disability exercise. This lack of activity leads to a spiraling decline in health which significantly diminishes quality of life through increased diagnoses of diseases such as osteoporosis, hypertension, obesity, diabetes, cardiovascular disease and cancer. Alarmingly, the same trend of inactivity exists among children. According to a study released by the Kaiser Family Foundation the average American child now spends 7 hours 38 minutes a day watching TV and playing video games. This bleak reality has created a new phenomenon known as "the indoor child"; a trend that has lead to a dramatic increase in the number of children diagnosed with a chronic disease (e.g. obesity, asthma, diabetes). Today, over one-fourth (27%) of our children are diagnosed with a chronic disease and 14% with a disability (e.g. autism, acquired brain injury, hearing or sight impairment). Additionally, the American Heart Association recently reported that strokes have risen dramatically among the young (a 51% increase in 10 years) while dropping in older people. Sadly, we are creating a new a generation at an alarming rate; one that lacks the health, experience, or interest in active outdoor recreation pursuits. 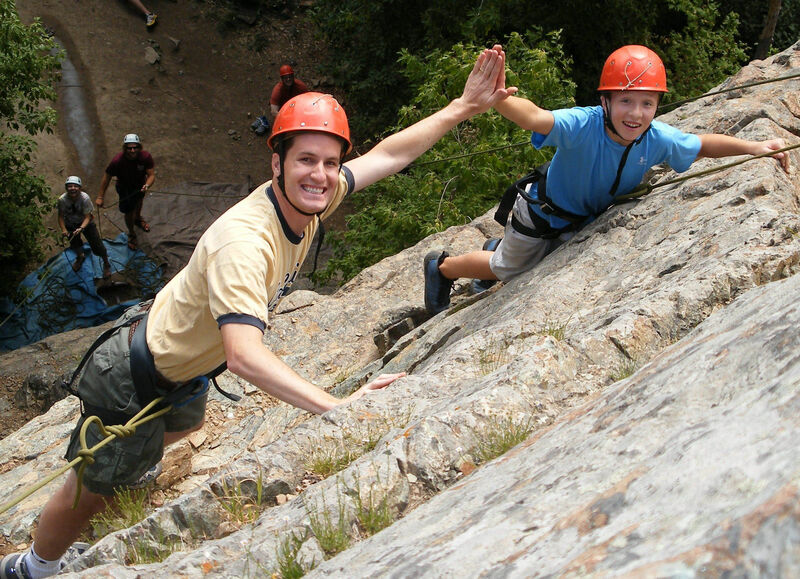 For all individuals, participation in active outdoor recreation represents an opportunity for a healthy lifestyle, forms friendships, develops social skills and creates meaning in life. Outdoor recreation also optimizes well-being by reducing the risk of chronic disease. To help address this need Utah is home to seven world-class adaptive recreation organizations listed below. These organizations offer year- round activities including alpine skiing, camping, canoeing, cycling, horseback riding, rock climbing, kayaking, Nordic skiing, snowboarding, snowshoeing, and white water rafting. 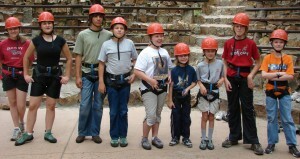 Utah's adaptive recreation outfitters are equipped to book agencies or groups, individuals, families, and clubs; all with a customized focus that would be expected from any professional outfitter. Providing the foundation to these opportunities and outcomes are Utah's world-class national parks, recreation areas, and renowned sport and recreation venues representing a vital community resource. Branded as "Life Elevated" and "The State of Sport", 80% of Utah's land is administered for recreation use including more than one hundred bodies of navigable water, fourteen ski resorts, ten permanent Olympic sports venues, nine whitewater rivers, eight national parks/national recreation areas and seven national forests. Regardless of the disease or disability Utah's outdoor playground and adaptive recreation organizations can help anyone achieve a new level of health and wellness. Whether breathing in the crisp clean air of the Wasatch Mountains, hiking among towering "hoodoos" in Bryce Canyon or rafting lazily down the Colorado River, you too can experience "Life Elevated." Dr. John Librett is Acting Director for AARO (Association of Adaptive Recreation Organizations). For more information contact him by email [email protected] or phone 801-558-5950.